What an excellent idea. I have no idea you could make your own scratch off paint so easily. As you say it is not perfect but it is perfectly functional. I hate when people are coy about what works and what doesn’t as it is such a disappointment if something fails because the method is not fit for purpose. Thanks for your honesty. Love the riddle! I agree with you on finding most instructions for scratch-off cards lacking. I’ve had the most success with the exact method you used. But I think for whatever reason, when I used gold paint it was hard to scratch off, and when I used silver it was easy. So maybe different types/brands behave differently. 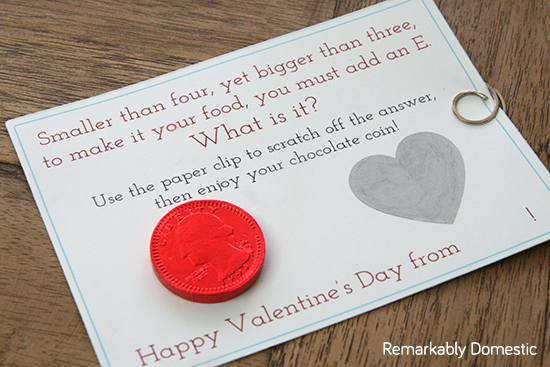 This is adorable — what a wonderful idea for distinctive valentines! These are definitely evidence of a lucky boy. Wow this is nice! 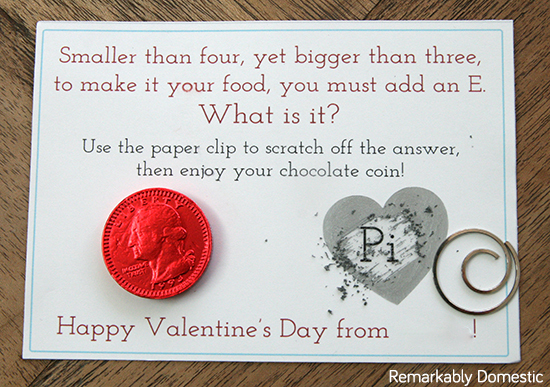 It’s a great idea for parties also, not just for Valentine’s Day. I just want to know, when you say dish soap- is it the solid dish soap – immersed in water, or liquid soap? Thanks! Hi there! It’s liquid dish soap. Hello! Thank you for this! I just discovered your website this morning and I am hooked! A quick question- is contact paper the same as sticker paper? I’m from the Philippines, and we’ve got different terms from your stuff. I am itching to go the bookstore (we rarely have craft stores that are solely dedicated to crafting which have a HUGE array of items for sale) because of this, so I’d like to know if it’s the same, and if not, is a sticker paper a good alternative? Thanks! Hi Jay! Contact paper is a vinyl paper with adhesive on the back that people usually use as shelf liner or drawer liners. I’m not sure what sticker paper is, but it sounds like it might be the same. If you Google Contact paper, you can see more details about it to see how closely it resembles your sticker paper. Thanks so much for reading! I hope that helps. Oh thank you for the prompt reply! I get it now. I saw some liners in a hardware shop a couple of hours ago. Maybe it will do. 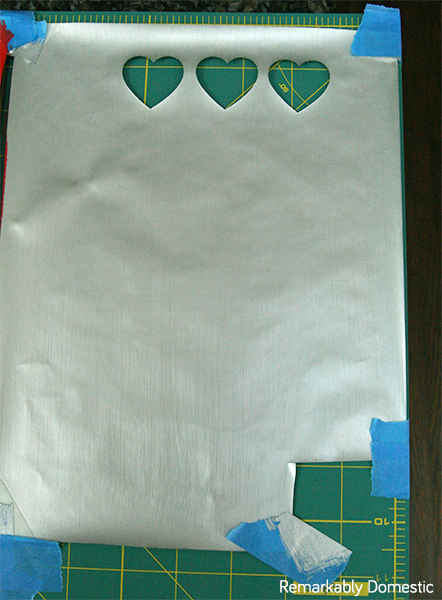 Sticker paper is, just that – paper, with an adhesive so you can stick them on. Maybe vinyl is tougher and wouldn’t disintegrate after 4 coats of paint with soap. You are so helpful. I can’t wait to read the rest of your articles. I wish I have more time… Have a great day!